Mr. Walker has over three decades of management, marketing and advertising related experience in the media and communications industries. Before founding Walker Communications in 1992, he served as president of Periodical Studies Service, a magazine publishing consultancy. Mr. Walker has also held a number of key operating positions at Ziff Davis Publishing Company, including vice president/publisher of a college-magazine network, associate publisher of Modern Bride and vice president/general manager of a publishing division. His publishing experience, which also includes b-to-b magazines, balances extensive product, advertising agency, field sales management and marketing skills, as well as wide experience with research, launch planning and business development. 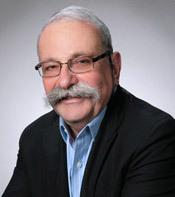 During his 30 plus years of consulting Mr. Walker, has worked with over 300 magazines and publishing companies including one long-term client client where he was responsible for all research and advertising rate management and where he was also involved in strategic planning for over 40 special interest titles and related digital assets. A graduate of City College of New York, Mr. Walker was an associate professor and member of the faculty of New York University’s Center for Publishing. He also has been a guest lecturer at the School of Journalism at Columbia University and a frequent speaker at MPA, Folio: Florida Magazine Association and other industry events. Mr. Walker is also quoted quite extensively about publishing related matters in the press and has written articles for Folio:, Magazine Week and Association Publishing; and has frequently appeared as a publishing industry commentator on television news programs. Mr. Dillehay is a publishing consultant with over thirty years of top-level managerial experience in newspapers, consumer and trade special-interest magazines, and books. 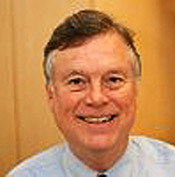 From 1999 through 2011 he held several senior executive positions at ALM Media; including publisher of the New York Law Journal and The National Law Journal. In 2004 he was named Senior Vice President of ALM’s Legal Media Group managing all of their regional newspapers and web sites along with Law Journal Press Books and Newsletters. Other industry experience includes executive positions with The Village Voice, The New York Review of Books, and its English literary magazine, Granta. He held the position of Managing Director at the investment banking and publishing consultant firm, The Jordan Group, Inc. and was the founding publisher of Channels magazine, a business magazine for the television industry. Additionally, he held the position of Vice President/Group Publisher at the Children’s Television Workshop, publishers of Sesame Street magazine. Mr. Dillehay graduated with a B.A. from the University of North Caroline at Chapel Hill and an M.B.A. from New York University. He served as a board member of BPA Worldwide and several other industry groups over the years. Currently he is on the Board of Directors at String Letter Publishing, publishers of Acoustic Guitar and Strings magazine. With over 30 years of experience in circulation marketing, Stuart has worked with every conceivable type of magazine and newsletter ranging from under 100 subscriptions to more than 2,000,000. 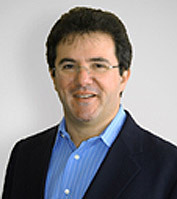 As Managing Partner of Stuart R. Jordan Consulting, LLC, Stuart has provided circulation, direct marketing, and business plan solutions to a wide variety of well-known publishing clients including Reader’s Digest, WebMD, New England Journal of Medicine, New York Magazine and Martha Stewart Living. His extensive experience in publication circulation, financial planning, magazine turn-arounds and general management consulting has been utilized by a number of established publications. Stuart has also been a major contributor to the launches of some of the best known (and widely discussed) publications of the last twenty years, developing circulation business plans and test marketing programs. Stuart’s current focus includes helping publishers to develop strategies and marketing programs to bridge the gap between traditional circulation marketing and the wide variety of new opportunities available through digital and social networking channels. Spending the last two years immersed in the world of internet marketers, Stuart is now is working to adapt these successful programs to work for subscription marketers. Keep up with the latest news from Walker Communications.